Ben Rivers is a filmmaker and artist whose work has been shown in many festivals and galleries around the world. His films, which blur the boundaries between documentary and fiction, often take outsiders - people who have separated themselves from mainstream society - as their subjects. 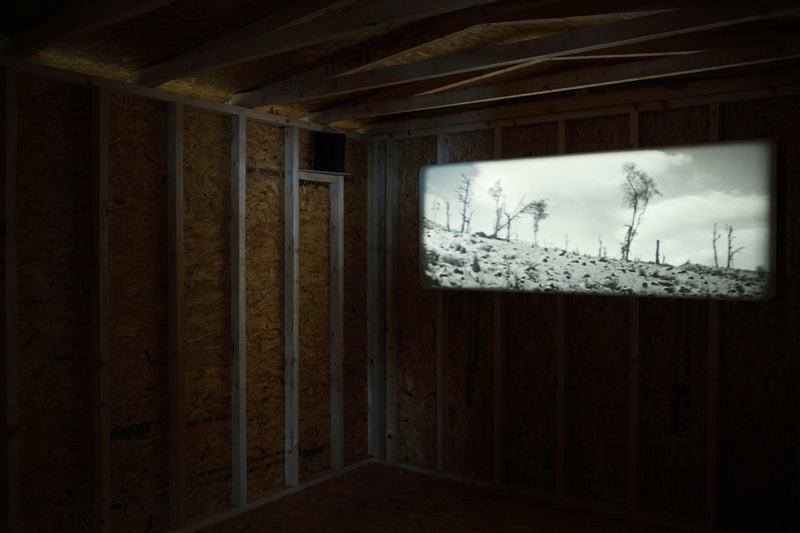 His work obliquely explores themes such as 'wilderness', or, as is the case in the film that is being shown in this exhibition, 'freedom'. Using old technology, normally 16mm film shot on a Bolex camera and then developed at home, Rivers creates off-beat narratives that depict and imagine ways of life in marginal or overlooked worlds. 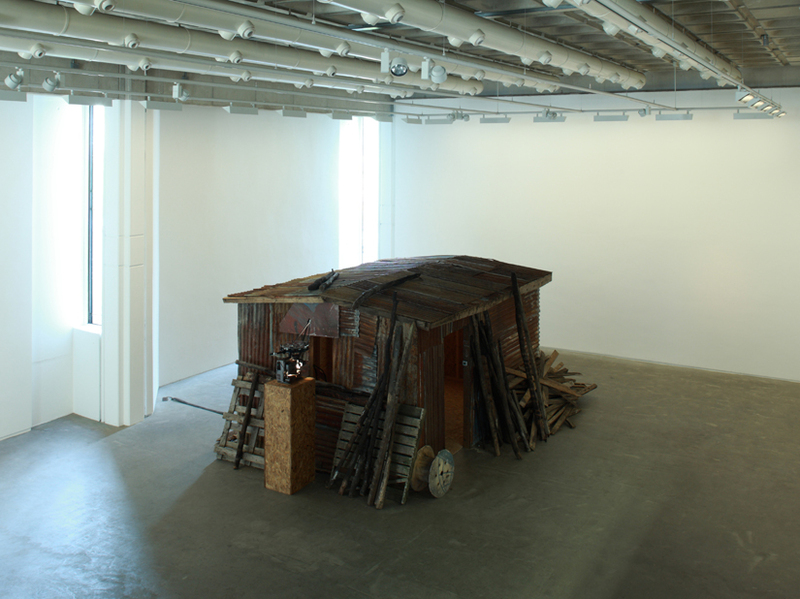 Sometimes, when it is shown in art galleries, his work incorporates elements of installation. Ah, Liberty!, a 20 minute black and white film made in 2008, shows aspects of the lives of the children of a family leading an unconventional existence in the Scottish highlands. 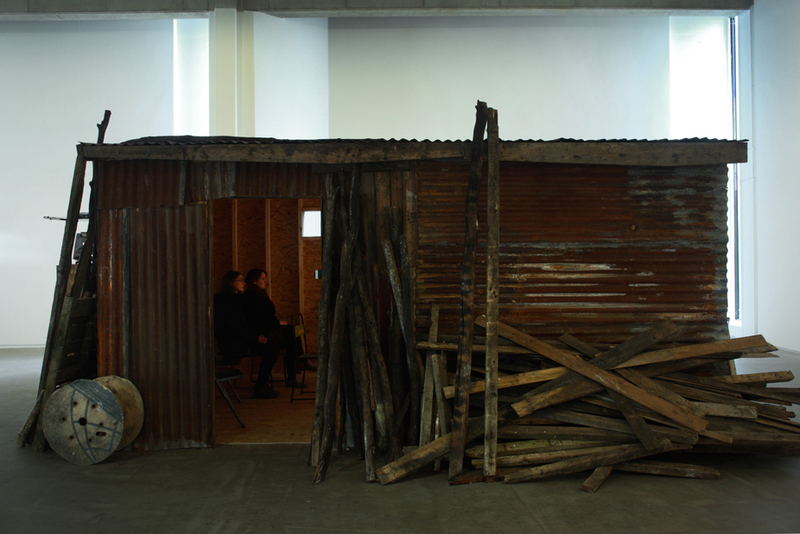 It will be screened in a hut that has been specially created for this exhibition. The Douglas Hyde Gallery gratefully thanks the artist, Kate MacGarry, David Leister, and LUX for their help in realizing this project.